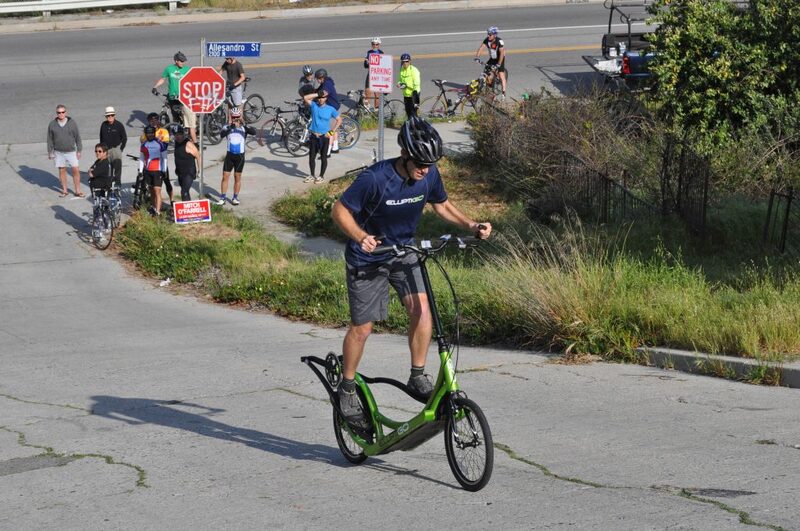 In 2015 I wrote a heart rate monitoring article for ultra-distance ElliptiGO riders, which was well received by the intended demographic, at the time. But that article was very specific to completing regular 100-mile training rides and was aimed at very experienced athletes. So I think there’s scope for a similar article intended for more recreational fitness training goals and covering the basics of heart rate monitoring in greater detail. This article will cover monitoring your heart rate in order to get the most out of your recreational ElliptiGO general fitness training. A heart rate monitor is a device which monitors how many times your heart beats every minute – or your pulse rate. For purposes of this article the pulse rate will be referred to in beats per minute (or bpm – which is the unit of heart rate measurement in heart rate monitored training). There is a great deal of health and fitness information which can be drawn from measuring that simple ‘pulse rate’ and that information can allow you to not only get better results out of your exercise routine, but also to exercise more enjoyably. 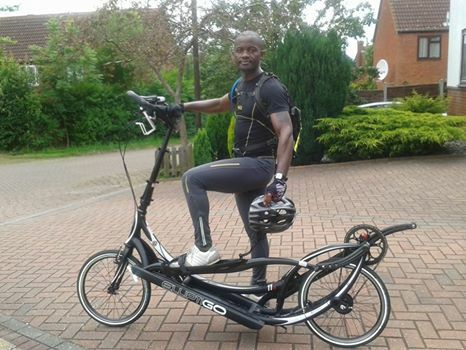 Getting good results and enjoying exercise are two very important parameters for sustainable long-term fitness training and the ElliptiGO is probably the most engaging cardiovascular training device available. The ElliptiGO facilitates exercise at a wide range of intensities, ranging from the equivalent effort of walking to the equivalent effort of sprinting – and all other intensities in between. But without a heart rate monitor there comes a point when it is difficult to measure exactly how hard you are training (or how well your fitness is progressing). It is my hope that if you are not using heart rate monitoring you will consider doing so, after reading this article. Training without monitoring your heart is a bit like budgeting without ever looking at your bank balance. Of course it’s possible to manage your budget without ever knowing your bank balance, but you’re not as likely to be successful budgeting instinctively as when you’re actually monitoring your cash flow. Back to training terminology, the term “cardiovascular” has a very specific meaning which is often overlooked by the people who prefer to engage in cardiovascular exercise. It refers to exercise which mainly develops the heart (‘cardiac’) and the circulatory (‘vascular’) system. The heart – and supporting circulatory system – carry blood around our bodies, clearing waste from our tissues and proving nourishment and oxygen as well. 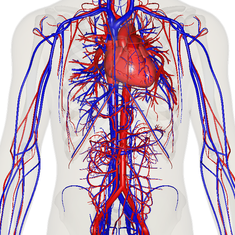 In the context of exercise, the functions of the circulatory system are very easy to understand. And it is this understanding which then allows us to manage our exercise in ways that will be productive. Whenever we exercise, our muscles and tissues require more oxygen, because more energy is being burned in order to produce the exercise we are engaging in. 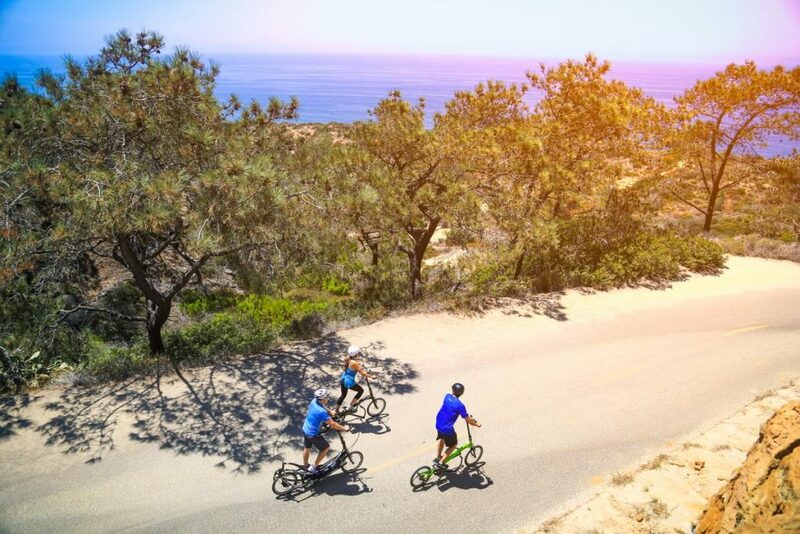 So riding your ElliptiGO has an energy demand – in order to get the bike moving and to carry the weight of you and the bike along the road – overcoming gravity as you GO up hills and overcoming friction caused by the air resistance and the friction of the moving parts of the bike. Your heart will beat correspondingly faster as you demand more pace from the bike, so it is a great indicator of how hard you are working at any particular moment. This correlation between pedal speed and pedaling force is specifically because of the factors I just outlined above, but it’s also because of the fact that a huge part of the circulatory system is the actual muscles of your legs (especially your calves). Any exercise which invokes multiple contractions of the leg muscles – and specifically the calves – will increase the speed your heart pumps at. This increase in heart rate is not only to get oxygen into the muscles faster and to remove waste products from the muscles more quickly – it is also necessary to stop blood backing up when trying to get back into the heart, as the leg muscles push it back into your heart faster and faster when their number (and force) of contractions increases. The calf is the biggest contributor to this back-flow, which is why exercises which predominantly contract the calves (many times) will cause sharp increases in your heart rate. This is why running, spinning on an exercise bike and riding the ElliptiGO will get your heart pumping very quickly. They use many of your leg muscles and they also contract the calves many times in a minute. Contracting your calves very hard (such as when lifting weights in the gym) will not actually elevate your hear rate much, because you will only do 10-20 calf contractions in a minute and the rest of your leg muscles will be doing very little contraction. But riding the ElliptiGO, or when running, every step you take contracts the calves and uses the other leg muscles as well. So the faster your foot cadence becomes, the higher your heart rate will rise. There are a number of useful parameters to be aware of when your heart rate is being monitored, in order to train more precisely (and in a way that allows your body to adapt to the exercise optimally). Heart rate monitoring can be made really complex, which some people will enjoy, or it can be made really simple – which I think suits the majority of people (especially those people who are not elite level athletes and those people who are new to these concepts). So that is the level at which this article will be pitched – for the recreational exerciser who doesn’t want too much jargon and who doesn’t want to GO through complex protocols. I will first explain the basics and then I will explain how you use those basics to monitor your training, your health and your fitness. The first concept of heart rate monitoring which will be addressed in this article is the resting heart rate. The resting heart rate is the speed at which your heart beats when you are doing absolutely nothing. It represents the least amount of circulatory work your heart needs to do in order to keep you alive and comfortable, when no demands are being placed on your body at all. The best time to measure your resting heart rate is first thing in the morning, just after getting up. But most of us don’t have that kind of time (or willpower – considering the heart rate monitor strap will need to be worn and the device switched on, in order to measure this)! And just setting all that up will involve some activity, which will influence the actual readings, anyway. So another way to get an idea of the resting heart rate is to see what rate your heart beats at when you have been sitting down for a while – say working on your computer, driving, or watching TV. That figure will be reasonable for the calculations needed to be made for your fitness training on the ElliptiGO. Be aware that there are factors which can make the resting heart rate reading inaccurate – and you need to avoid those interferences. Caffeine is one of these factors. It can cause the heart rate to speed up. So try not to measure the resting heart rate when you’ve been drinking caffeinated beverages. Only measure it before drinking your coffee or tea for the morning, just in case! The other influence to heart rate is state of mind. When angry, scared, or anxious, your heart will beat faster. So reading irritating work emails might not involve any physical activity, but it might give very misleading heart rate readings. I have noticed when I am out training that if a driver ‘gets on my nerves’ my heart rate will elevate sharply and my heart can even beat at the rate I’d expect when riding hard up a very steep hill. So the effect of emotion on heart rate is pretty big. Measure the resting heart rate at a time when you are quite relaxed. Why is this Resting Heart Rate important? The resting heart rate says a lot about your state of health, your state of general fitness, and also your state of recovery from exercise. If your resting heart rate is always high, it is a sign that your heart is tired (so it takes smaller beats and, thus, has to beat more often in order to provide the same required amount of blood that’s needed just to stay alive). Think of a tired or small heart like a small engine, in a very large truck. The small engine is weak and struggles to move the massive vehicle. You will have to rev the small engine high all the time, in order to move a big vehicle along. And the engine is always under stress under such circumstances. Then consider the example of a big powerful engine in the same truck. The big engine hardly needs pushing in order to move the vehicle along. You can roll along quietly and comfortably in a big truck using a big, powerful engine. And the big engine can be relaxed, especially when moving along slowly. So a fit, strong, large and well rested heart is like a big, powerful, high-performance engine. It does a lot of work for very little effort. This same analogy applies to your heart and circulatory system, which is why we refer to “cardiovascular training”. Cardiovascular training – such as running, cycling, or rowing – works the heart and circulatory system, developing the size and strength of the muscles of the heart and of those accompanying blood vessels. You have probably noticed that some very highly trained individuals will sometimes display many big blood vessels, protruding on the surface their skin. That is because those structures have become very highly conditioned for getting blood around the athlete’s body. Every person displaying such well-formed veins will also have a correspondingly gigantic heart inside their chest (because the heart and blood vessels are actually one system that is physically joined together). One cannot develop without the other, the blood vessels and the heart always work together in a fit and healthy person. So if your resting heart rate is high it can signify that your heart is unfit (and small). But if it is normally low – and then presents as unexpectedly high – it can signify that you are tired, or that you have not recovered fully from your last training session, or that you are even ill. This is useful information because it allows you to make sensible decisions about what to do next. The next aspect of heart rate monitoring is the more exciting bit – your ‘training zones’! Training zones are identifiable heart rate ranges which can be used for attaining specific fitness goals during your training. In order to calculate these training zones there are a few common algorithms that can be applied. One algorithm used is Max HR = 211 – (0.64 x your age). It is probably a good one for many people to use, especially people who have not been fit for their entire lifetime. And the other method, which I prefer to use, is slightly simpler – and seems pretty accurate for athletes who have generally been fit for most of their lifetime (who tend to register lower heart rates than individuals who are newer to exercise). For that calculation you simply subtract your age from the number 220 and that gives you a calculation of what your approximate maximum heart rate is likely to be. So for me, aged 43 at the time of writing this article, my maximum heart rate is likely to be 220-43 = 177bpm if I use that calculation. Choose the calculation which you think best suits your circumstances. The number calculated is not always completely accurate, but it is sufficiently accurate to work with in order to set your protocols for training. In fact, in my experience, the number calculated is pretty accurate (and the highest training heart rates I have measured during every year since I first started monitoring my heart rate have corresponded quite closely to my theoretically predicted maximum readings). For example, in 2014, my highest recorded reading was 182bpm (measured during a ‘sprint race’ when I was riding up a hill on my ElliptiGO ‘racing’ against a guy who was riding a road bike). I was 40 years old at the time, so my maximum heart rate calculation under the above formula would have been 220-40 = 180bpm. And in 2017 (now aged 43) my highest measured heart rate (again, measured during another maximum speed ‘racing situation’) was 176bpm – which is not far off the predicted 177bpm using the formula. So although many coaches and writers will go into rather complex (and very demanding) protocols for calculating your genuine maximum heart rate (protocols which will involve you putting yourself through the sorts of brutal training sessions I mentioned above!) that is not something most people will want to experience. And it is unnecessarily rigorous, when the formula is actually pretty accurate for our needs. The only reason you need to know your theoretical maximum heart rate is so that you can calculate your heart rate zones for training (which I’ll outline next). You do not actually need to aspire towards attaining your maximum heart rate during any of your actual training (whew!) although you can, if you really want to. It isn’t always healthy pushing your heart to the fastest rate at which it can beat – and it is certainly unnecessary for most people’s training goals. So now that you are able to calculate a predicted/theoretical maximum heart rate, the next step is to calculate your training zones (which is really the core of heart rate monitored training). One way to do this is to find an online heart rate zone calculator. In fact, most of the decent heart rate monitoring devices will also be able to make this calculation for you in the same way as the online calculators. And training apps like Strava and Garmin connect will be able to do the job for you. So either calculate it using the percentages below, or find an online calculator to do the job for you. It only needs to be approximate. Zone 1 is defined as 60-70% of your theoretical maximum. This represents recovery effort and, if observed, you will find that training sessions done in zone 1 help you bounce back faster from the previous days’ hard sessions. You must be disciplined when doing recovery rides and should aspire to remain in zone 1 at all times during your recovery rides. You will also notice that your speed whilst riding in this training zone will gradually increase as your fitness progresses (as will be the case for all your training zones, when applied smartly). This will be because your heart will be growing stronger, more efficient – and also larger – enabling it to do more work using fewer beats. Each stroke of the heart will be bigger and more powerful as it gets fitter, meaning that the same amount of blood can then be pumped using fewer beats. Zone 2 is defined as 70-80% of your maximum. This zone should be used for warming up and warming down – and it also tends to suit medium to long distance efforts (if you want to remain comfortable on very long rides). It is ideal for sustainable long ride pace, or long-distance touring pace. If you remain in zone 2 at all times during a very long ride (whilst hydrating and fueling adequately) you will not experience peaks and troughs, or unexpected low points, as you ride. Zone 3 is defined as 80-90% of your maximum. This pace is good for long distance training and even for long distance events (when you want to put in your best times over a specific long distance). But you will feel ‘stretched’ after riding in this zone for long periods and your recovery will be much extended (compared to riding the exact same distances in zone 2). Zone 4 is defined as 90-100% of your maximum. This is high intensity training pace and is useful for time-trials and for longer interval sessions. But be sure to go back down to zone 3 (or even zone 2) during the easy sections of your interval sessions – and always warm up and cool down in zone 2, when planning to do harder training sessions in heart rate zone 4. Zone 5 is defined as anything above your calculated ‘maximum heart rate’ number. Consider it as genuine sprinting. You cannot sustain the zone 5 effort for more than just a few seconds at a time and it is the training zone you’d use under the popular high intensity interval (‘HIIT’ or ‘Tabata’) training methodology (involving 10-minute-long maximum intensity interval sessions). It’s basically 100m-200m sprint race effort. Those are the simplified basics of heart rate monitor training protocols. As mentioned earlier, there are a variety of established approaches – all of which work – and much depends on how complex or how simple you want to make it. My advice, at this point, is for ElliptiGO riders to get a decent cycling heart rate monitor device, which uses a chest strap. My two heart rate monitors. One is bike-mounted and the other wrist-mounted. The wrist-mounted one can be used for any activity but the bike-mounted one has more screen options and is designed specifically for bike riding. They both use chest straps (for accurate readings whilst riding). Some GPS heart rate monitor devices made specifically for runners will use only a wristwatch monitor (with no chest strap) but they are not accurate for biking, because air movement interferes with their readings and they are practically useless on the ElliptiGO (or on any bike). They are designed to perform at the slower speeds of running. Be warned – do not use heart rate monitor devices specifically made for running, when training on the ElliptiGO. Use cycling heart rate monitors on the ElliptiGO. Another great idea is to use a heart rate monitor device with GPS connectivity, so that you can measure your heart rates over the same courses repeatedly (and get a good gauge for your progress). This data can be tied into the GPS data so that you can see exactly how your heart was behaving at every part of the course you were riding (this is how I have been able to correlate my spikes in heart rate to actual ‘incidents’ with motorists during the rides I referred to earlier in the article!). Also acquire heart rate monitor devices which can show both the average heart rate and the immediate heart rate (in real-time). These are very important distinctions because the average heart rate is a good indicator of how hard a whole training session was, but it does not give enough information about how hard you worked at every section of the ride. It is important to be aware that you are in the correct training zone, at all times, for the goals of your ride. For instance, you might average zone 2 heart rate readings in a long bike tour (which sounds ideal, according to my earlier parameters). But if your heart rate was spiking up to zone 3 or zone 4 whenever you went up the hills – or tried to overtake other riders whom you met along the way – you’d feel totally wrecked by the end of the ride. And the ride would have been very hard to complete, when compared to how you’d feel if you had stayed in zone 2 from start to finish. So you can average zone 2 by staying exclusively in zone 2, from start to finish, or by oscillating between zone 4 and zone 1. Same average heart rate but completely different experiences! This is how you can use heart rate monitoring to enjoy social or leisurely tour rides – and also to push yourself hard during specific high intensity training sessions. Always leave your ego at the door for success in life, in the real world. And this statement applies to heart rate monitoring too. Follow the guidance of the device and ignore everything (and everyone) else. That way you’ll achieve your goals. If you follow your ego (and always do what instinctively feels good at the time – or what you think makes you look good in front of others) you will be less successful in life – and also in training. I hope this has been a useful introduction to heart rate monitoring. Do feel free to contact me and let me know if the article was useful for you (or contact me to let me know if there are aspects of the article which you didn’t quite understand). You really can make the most of your training through heart rate monitoring and I highly recommend it!